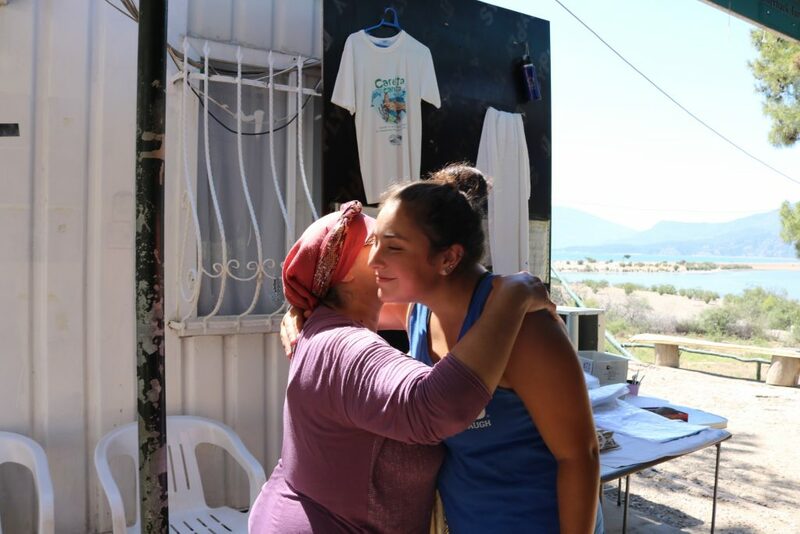 Turkey Photo by Connie Hernandez Artist Statement: Erin is hugging our Turkish mother, Halime, to say goodbye. We were thankful for all the work she did for us while we were there. From cooking in the heat during Ramadan to helping us figure out the washing machine, she went above and beyond for us. In an ongoing effort to expand the number of opportunities for students to serve in the U.S., two new California-based programs—one in San Francisco and the other in Orange County—are among the new DukeEngage summer of service offerings for 2015. In San Francisco, DukeEngage participants will confront urban homelessness while working with nonprofits focused on providing services—such as temporary shelter, employment skills training, nutrition, and health information—for homeless youth and other youth at risk. Participants will also work with youth who are homeless or at risk of discrimination, harassment, or familial rejection due to their sexual or gender identity to help them meet their basic needs for housing, food, and employment. The program is led by Rebecca Bach, associate professor of the practice of sociology, and Janie Long, associate vice provost for undergraduate education. The new DukeEngage in Orange County program will place DukeEngage students with Girls Incorporated of Orange County (GIOC)–an affiliate of the national organization dedicated to teaching at-risk girls and underserved girls to be self-sufficient, successful adults. The program focuses on personal development, health, and STEM education for underrepresented minorities. The program is led by Christine Mulvey, research scientist in Duke’s Tissue Optical Spectroscopy Laboratory, and Nimmi Ramanujam, professor of biomedical engineering. New DukeEngage international initiatives include programs in Dalyan, Turkey, and Cusco, Peru. In the new Peru program, organized by DukeEngage partner the School for International Training (SIT), students will learn about the history and cultural identity of Peru’s native Andean communities while examining these groups’ community development, preservation, and advocacy efforts in the context of shifting global forces. DukeEngage has enjoyed a successful relationship with SIT, which also organizes DukeEngage programs in Jordan and Serbia. In Turkey, DukeEngage students will participate in sea turtle conservation activities, including the monitoring and protection of incubating eggs and the rehabilitation of sick and injured turtles. Students will also engage in conservation education and outreach. The program is led by Matthew Godfrey, adjunct assistant professor in Duke’s Nicholas School of the Environment, and Yakup Kaska, director of the DEKAMER Sea Turtle Center in Dalyan, Turkey, and a professor of biology at Pamukkale University in Denizli. During the summer of 2015, DukeEngage will fund and support the placement of as many as 435 Duke students in both group programs and independent projects. Students can explore all DukeEngage opportunities available for Summer 2015 at dukeengage.duke.edu/immersion-programs as well as by attending presentations offered by faculty and former participants during “DukeEngage Week – International / Independent,” Oct. 20-24, 2014, and “DukeEngage Week – U.S. Programs,” Jan. 13-15, 2015. General information sessions will be held Oct. 3, 9, 15 and 28. Interested students may begin their application online at the DukeEngage web site beginning Oct. 1. The application deadline for international group programs is Nov. 5, 2014, while the application deadline for U.S.-based programs and independent projects is Jan. 20, 2015. Since 2007, when DukeEngage was launched, more than 2,800 Duke students have volunteered through DukeEngage with more than 600 community partners in over 79 nations on six continents.